Before we look at what's happening at Chorley & South Ribble Hospital, a little history of how downgrading an A&E devastates communities.. In November 2007 the East Lancashire Hospital NHS Trust closed Burnley hospital's A&E department and moved it to the Royal Blackburn Hospital. The reason for this 'centralisation' was apparently to implement a two-tier A&E service, with specialist expertise in areas such as stroke and trauma concentrated in fewer hospitals. Another excuse used to close local A&E's was that a large percent of patients attending A&E only required minor treatment. People were told that by centralising A&E's doctors would have a higher case load with a greater variety of cases which would enhance their skills and contribute to their continual professional development. It turned out to be one big political farce that ended in disaster. The centralisation model was based on an old danish model where 'urgent care centres' sat side by side in the same building as its A&E,so less urgent cases would free up Emergency cases. In England however, the separation of Emergency care (A&E's) from 'elective' (pre-planned) care resulted in A&E's being moved many miles apart and replaced with nothing more than plaster posts called urgent care centres (aka minor injuries units). So who decided to close the Burnley A&E? and what did people say about it? I'll be brief here: The people and councils of Burnley, Pendle and Rossendale objected to the move so the decision went to the Lancashire county health overview & scrutiny board meeting at county hall in Preston. At the time, the centralisation plans were a Labour government idea originated by Ari Darzi (a rectal surgeon) and governmental health advisor, and supported by Andy Burnham, the Health secretary at that time. The proposal was made at the meeting and was passed by a small Labour minority of county councillors under guidance from the Labour health minister. The Burnley MP kitty usher was told that if a decision wasn't made at the meeting there would be financial penalties. That turned out to be lies. The resulting closure of Burnley's A&E and move to Blackburn was devastating. Considering the Trust already had an almost ONE BILLION POUND interest bill on their Private Finance Initiative (PFI), the effect on patient care at Blackburn Hospital cannot be underestimated. Eventually the Blackburn hospital had to close its doors sending ambulances to other hospitals in Lancashire. 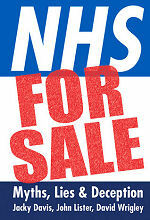 Ultimately, Sir Bruce Keogh and the CQC decided the hospital Trust be placed in special measures. So How does this relate to Chorley & South Ribble Hospital? The 'centralisation' mantra has been used many times to enable a hospital trust to minimise finances and risks. This is especially true for 'foundation trust' hospitals who are free to tender for private services and spend money in areas they deem more profitable (esp. to reduce PFI interest). 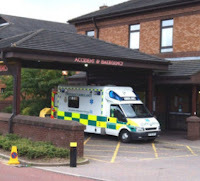 In 2010, the Lancashire Teaching Hospitals NHS Foundation Trust (LTH NHS), responsible for A&E's in Chorley and Preston, encountered problems in acute services. A shortage of permanent qualified emergency doctors at the trust led to the trust employing agency staff along with temporary (locum) doctors to fill the ED rotas. The main rota however was to utilise existing permanent ED doctors and rotate them to fill the gaps. A very risky plan but nonetheless would work as long as the doctors and agency staff were available, and their were no increases in A&E attendances. This would result in serious patient safety issues. In early 2016 doctors were locked in a long dispute with the tory government over a proposed change to junior doctors contracts. The Lancashire trust lost 1 doctor and at the same time the government implemented a 'cap' on hospital trust spending on Agency staff. LTH NHS trust had gambled that a national shortage of doctors would excuse them from any responsibility if scrutiny found out. In Early April 2016 the trust made a decision to close the A&E at Chorley and utilise more locums to form an urgent care centre so as to reduce risk to patients. Previous board papers however suggest the plan to downgrade was in the pipeline earlier. A trust group was set up to monitor how the downgrade at Chorley might cope without an A&E. Whilst the Trust had no PFI debt they had an overcast projected debt of around £1m as of May 2016. Financially, in June 2016 the trust appealed to Monitor, the body who oversees NHS foundation trusts, for more finance. Monitor replied by giving the Lancashire trust time to meet certain standards and get their house in order. 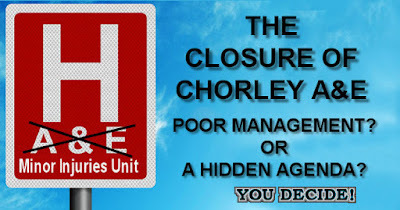 Chorley A&E closure was no accident, the trust responsible had ample time between 2010 and 2012 to recruit enough doctors to cover the rotas at BOTH Preston and Chorley hospitals (10 permanent + 4 locum across BOTH sites). It's a miracle the trust blagged it for so long, likely due to a failure by Health scrutiny committees accepting overload was the norm. Reading the Trusts historical board papers, it doesn't take a genius to see why this trust failed to retain the A&E at Chorley. The question now remains of how fast can the trust recruit the doctors needed to re-open the A&E at Chorley by August as they claim.